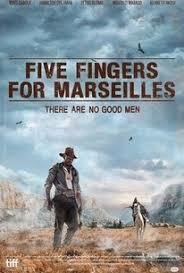 "A methodical neo-western set in modern-day South Africa, “Five Fingers for Marseilles” crackles with energy as it wends its way toward an explosive conclusion. A brutal but thoughtful film invoking subtle social allegory, “Marseilles” demonstrates both the durability and elasticity of the genre. The film, written by Sean Drummond and directed by Michael Matthews, opens when apartheid is in its final throes, though freedom is a long way from Marseilles, a dusty railroad town on a downward spiral. Blacks live in their own area called Railway under the controlling heel of the corrupt white police. A quintet of teens, bristling at this, vow to fight the injustice." 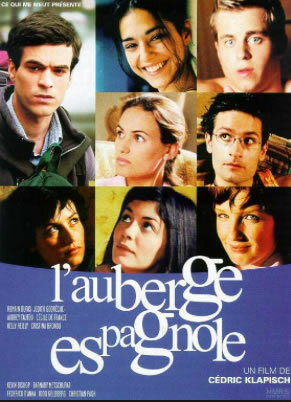 "Like ''The Real World,'' that perennial, pioneering MTV reality series, ''L'Auberge Espagnole,'' written and directed by Cédric Klapisch, zeroes in on the life-cycle dramas of the early 20's, that phase of life when, at least in the affluent nations of the West, young people have reached legal adulthood without having quite grown up. ''L'Auberge Espagnole'' presents an appealing and persuasive picture of European integration, in which national differences, which once sparked military and political conflict, are preserved because they make life sexier and more interesting. Co-Sponsored by Office of International Education and Development, Belk Library and Information Commons, and Le Cercle Francais. "Meet the world’s first all-female racing-car driving team from occupied Palestine. There’s Maysoon Jayyusi, the team’s 38-year-old manager, from Jerusalem, who says her love for racing-car driving came from the frustration of being stuck in the West Bank’s constant traffic jams and checkpoints. 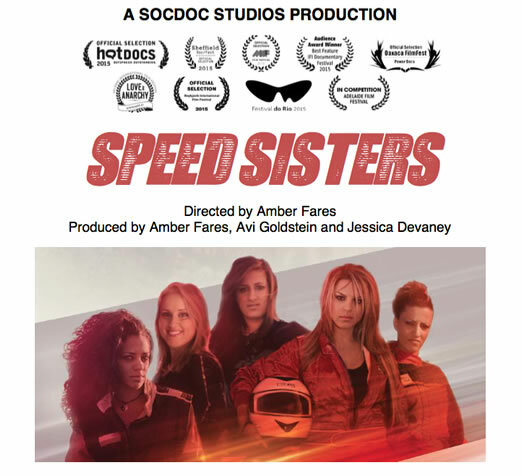 The five women are the focus of Amber Fares’ feature-length documentary, Speed Sisters, which is a full-throttle but sensitive take on the adventures this female team face as they take on all the stereotypes that confront them as they try to break into a male-dominated sport within a conservative (relatively speaking – this isn’t Saudi Arabia) society." 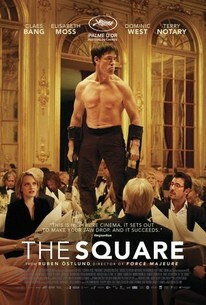 The Square is a satire of the art world where pretension, elitism, greed and crass stupidity hold sway. Think of the Marx brothers playing tour guides in a farce and you'll get an inkling of what's ahead." "Nothing seems to fascinate the writer and director Ruben Östlund more than the life cycle of a bad decision. Early on in his new film The Square, which won the Palme d’Or at this year’s Cannes Film Festival, the well-to-do museum curator Christian (Claes Bang) takes it upon himself to right a perceived wrong: the theft of his cellphone. A tracking app tells him it’s somewhere in a tower block in Stockholm; encouraged by his co-worker, Christian decides to go apartment by apartment, floor by floor, posting a somewhat threatening letter under every door demanding the return of his stolen property." 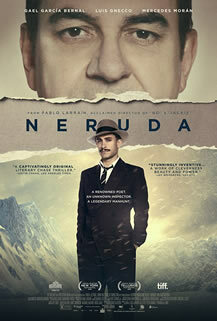 "Popular poet and Communist Senator Pablo Neruda (Luis Gnecco) opposes the administration of President Gabriel González Videla and denounces his brutal anti-communist repressionin a speech in the National Congress in 1948. Threatened with arrest, he goes underground. Refusing to live the life of a fugitive, he taunts the government authorities by appearing in public venues or leaving evidence of his movements. 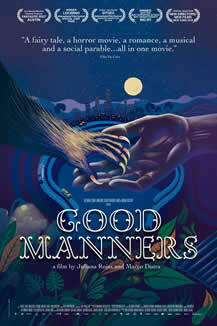 His pursuer is the fascist Chief of the Investigations Police of Chile Oscar Peluchonneau (Gael García Bernal)."